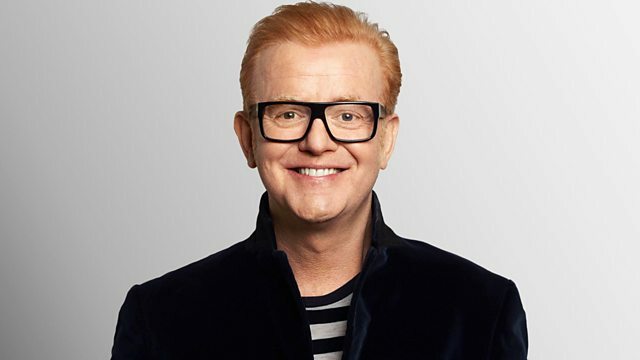 Chris Evans has the first play of Pink Floyd's brand new song Louder Than Words, and Bake Off winner Nancy celebrates her victory. Today's show is entitled: Not being the cool kid ends up being really cool! Very Best Of Dexy's Midnight Runners. The Ramones - End Of The Century. 25 Years Of Rock 'N' Roll 1963. You've Got Mail (Film S/Track). It was Eid on Saturday. The culmination of the festival of Hajj - one of the largest gatherings on earth. Surprising to many is the fact that the pilgrims are fulfilling rituals that are in remembrance of the Prophet Abraham – a key figure to Judaism, Christianity and Islam. There are many stories about him in Muslim tradition, indeed a whole chapter of the Qur’an is named after him. The story of his sacrifices is there. His remarkable faith in God, as well as stories of his doubts and questioning. So too are stories of how he stood up to the status quo – arguing against the injustices of the day. In Islam, Abraham is revered as a father figure for all the prophets, and when I think about the prophets so many of them were mavericks. They were always upsetting the proverbial apple-cart. Moses challenged Pharaoh by setting free all of Pharaoh’s slaves. Joseph was falsely imprisoned by the ruler, but then released to save Egypt. Jesus upturned the money lender’s tables and generally made a nuisance of himself to the Romans. They were not really model citizens, yet our holy books promote them. When I move ahead to modern day and think about people I admire – so many of them were thorns in the side of the Establishment. Gandhi was very irritating to the British Empire with all his non-violent resistance. Mandela was a real pain to the South African establishment by refusing to accept apartheid. Even little Rosa Parks ruffled feathers by simply refusing to sit in the back of the bus. But it is not just social revolutionaries – think of designers, think of artists, think of scientists – all questioning our acceptance of present reality as the only reality. People often think of religion as limiting. For me – the people who are marked down as the religious greats – are often the biggest mavericks in humanity’s history. They cared enough about the earth and their fellow humans to attempt to change the world. It was not gratuitous rebellion – but a genuine concern to create a better reality. Even though the world wears me down at times – ultimately I believe we have the capacity to change things, and we should relentlessly pursue a better future for all.